Since hypnosis is a means of moving into a perfectly natural state of mind that all people actually experience several times in a day, it feels very “normal”. Have you ever had the experience of driving along the highway and suddenly realizing that you passed your exit several miles back? You were in hypnosis! Or been so caught up in a book or movie or video game that you don’t even realize that someone has been speaking to you for the past several minutes? THAT is hypnosis. So you see, when a hypnotist or a hypnosis audio track guides you into hypnosis, they are not asking you to experience anything strange or that you haven’t experienced before. Daydreaming, falling asleep and waking up, “zoning out” – these are all states of hypnosis and everyone experiences these differently. 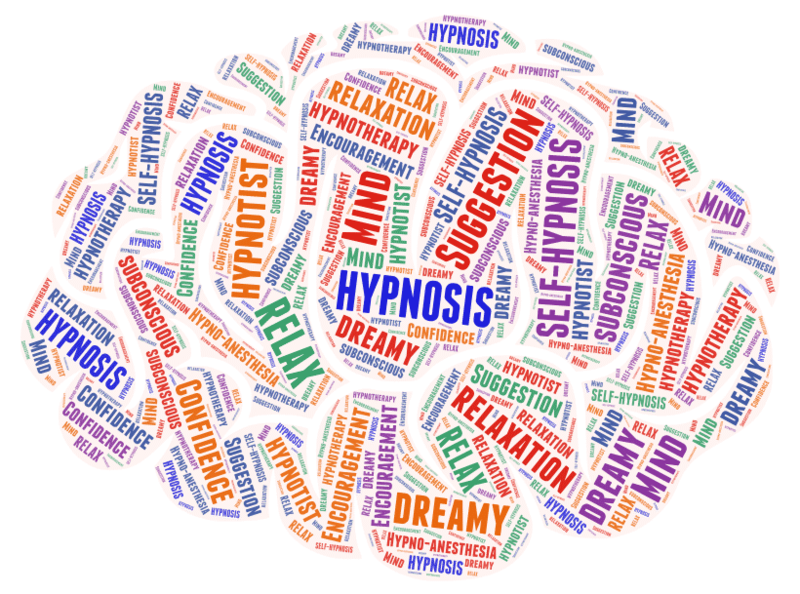 In guided hypnosis sessions, we all experience hypnosis differently as well. Some people feel very light and “floaty”, some people feel very heavy, and some people are even hyper-aware of everything around them when they listen! Some people don’t “feel” or “experience” anything at all that is out of the ordinary for them while they are in hypnosis. You simply cannot gage your state of hypnosis by a feeling, or an experience. Anyone of at least average intelligence, who can follow directions can be hypnotized. Occasionally, a person may need several attempts before actually entering into hypnosis. What causes this? Generally, it’s holding onto a little bit of fear – fear of loss of control. This is actually a misunderstanding as the proper use of hypnosis actually gives you greater control over all aspects of your life. Will I do something against my will? Will I remember everything that happens in hypnosis? Yes, you will remember everything that happens in hypnosis if that is your desire. Occasionally a person might choose to selectively forget certain facts for a time and then bring them up later when they are more ready. But I don’t think I can be hypnotized! Again, ANYONE can be hypnotized (see above). There is no such thing as a “good” subject or a “bad” subject, only those who choose not to follow directions. Because in hypnosis you access your subconscious, the suggestible more powerful part of your mind where real, lasting change takes place. You may have heard it said that we only use 10% of our brain; hypnosis is a way to get access to that other 90% . Especially in habit and pain control, this eliminates any internal battle that may occur. Fact: Any person of normal intelligence can be hypnotized. All that is necessary is imagination and a willingness to cooperate. The best subject is a person who has a good reason for hypnosis and a strong motivation to accomplish a particular need or desire. The ability to be hypnotized is dependent upon the ability to relax and simply listen. For example, if you were going to learn to play the piano, your teacher would point to a particular key and say, “This is middle C.” To you, that is a suggestion. You either accept or reject the fact that the note in question is middle C. If you accept, you will undoubtedly go on and learn to play the piano. If you reject the suggestion, you may eventually learn to play, but it will be a long, hard and confusing process. If you approach hypnosis with confidence, rather than fear, you will achieve your desired goals.